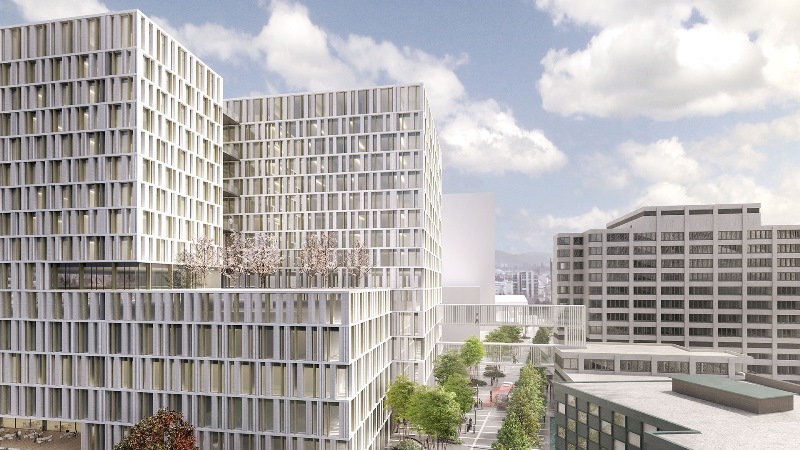 As part of its long-term master plan for the entire hospital area, the University Hospital Bern (Inselspital) commissioned MMI to develop the medical concept to restructure the spatial and medical organisation of the Cardiovascular Center. The goal was to design a state-of-the-art interdisciplinary treatment center for rapid and comprehensive patient care. The center will also house various specialist clinics or outpatient clinics (such as clinics for rheumatism, allergology, pneumology, infectiology, ENT) as well as part of the Neurocenter. The departments of angiology, cardiology and cardiac and vascular surgery located in the cardiovascular section of the building have been merged combining their diagnostic capacity, in order for all interventions and treatments to be as effective and economical as possible. In addition, the planning team has designed premises for university teaching and medical research. This allows patients to benefit directly from the latest scientific findings and developments. Based on these services, MMI developed a medical concept which formed the basis of further planning. During concept development and core space planning, MMI aimed to minimise distances for staff and patients and separate the inpatient area from the day clinic. In developing the concept, MMI included all available hospital baseline data, benchmarked them with other hospitals, and predicted the growth potential as realistically as possible. In addition, the connection possibilities to existing buildings were evaluated. MMIs planning focused on efficiency and cost-effectiveness. This will be achieved primarily by using core resources centrally and creating networks. The Polyclinic Department (PKT 2) of the Inselspital has to be demolished to be able to build the new hospital building. This means that all specialist areas within it must be relocated during the construction phase. For this purpose, the planning team created a so-called “Rochadekonzept”, in which the spatial accommodation for the time of the construction is planned. The aim in this challenge is to keep the burden on patients and staff as low as possible.